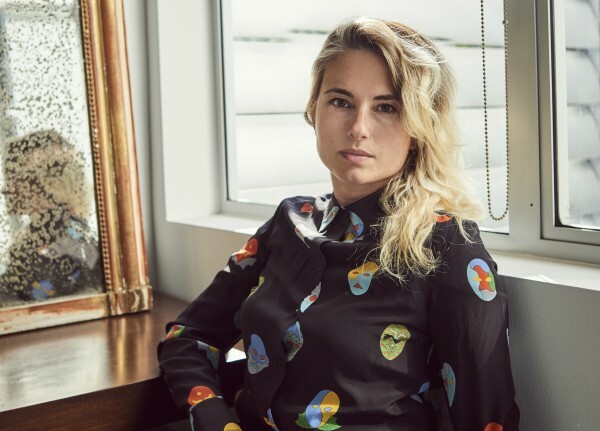 IDENTITY has signed film and commercial director Ayse Altinok to its roster for U.S. spot representation. Altinok is a Turkish-born filmmaker whose work has been recognized globally at Cannes; Raindance; and the Rome, Melbourne and Amsterdam International Film Festivals, among others. She joins IDENTITY from Biscuit Filmworks, where her work included spots for Jose Cuervo, SOS Homophobie, LÄRABAR, Boots No7 and Horizon Organic, and collaborations with such agencies as CP+B, Fallon, TBWA/Paris and Mother London. Altinok cultivated her lifelong passion for film and the arts while studying graphic design at the Art Academy in Istanbul and performing in theater and acting workshops. Her keen eye for visual composition and creative aptitude for storytelling led her into the advertising realm. Altinok spent 10 years as a senior creative at Wieden+Kennedy’s Amsterdam and Portland offices, where she led client accounts for Coca-Cola and Nike and received numerous industry honors, including a Gold Clio and accolades from the One Show, the Art Director’s Club, AICP, Epica and the ANDY Awards. Reflecting upon her background as an artist and prepared to undertake the next professional challenge, Altinok transitioned her career away from the agency side of the advertising business and began focusing on directing film and commercial projects in 2009. Altinok’s first short film Hortum opened to acclaim and was screened as an official selection at the Cannes Film Festival Short Film Corner and international film festivals in Rome, Melbourne, San Francisco, Miami and Amsterdam. Her follow-up film, The Particulars, screened at Cannes in 2010 and won awards for best drama and actor at the Oregon Independent Film Festival. In 2014, Altinok’s short film A Day at the Mall Reminds Me of America was exhibited at museums across the U.S., including the Hammer Museum in Los Angeles, the Walker Art Center in Minneapolis and the Figge Art Museum in Davenport, Iowa. She is currently in production on her first feature film Oil, a story told in three languages and filmed in locations throughout Turkey and Holland by frequent collaborator, DP Christopher Blauvelt. Altinok’s background in visual and performance art is reflected in her directorial style, where she highlights evocative visuals and emphasizes raw human emotions as conduits for storytelling. Her work explores prevalent themes of humanity and empowerment, effortlessly and authentically capturing the beauty in everyday life. “I look forward to joining the talented team of artists and visionary creatives at IDENTITY, where I will continue seeking new work that resonates with my personal affinity towards storytelling and exploring the human condition as authentically as possible,” said Altinok. A SHOOT New Directors Showcase alum, Altinok is currently signed with Suneeva in Canada and La\Pac in France for commercial representation. For feature films, she is repped by UTA and managed by Carlos Bobadilla at Valor Entertainment.